Our very own high-quality barware set of tools from Cocktail Kingdom, personally selected by Shaker & Spoon to get you mixing like a pro. Our ultimate barware set includes more than just the bare necessities, giving you the tools to create every one of Shaker & Spoon's recipes and then some. 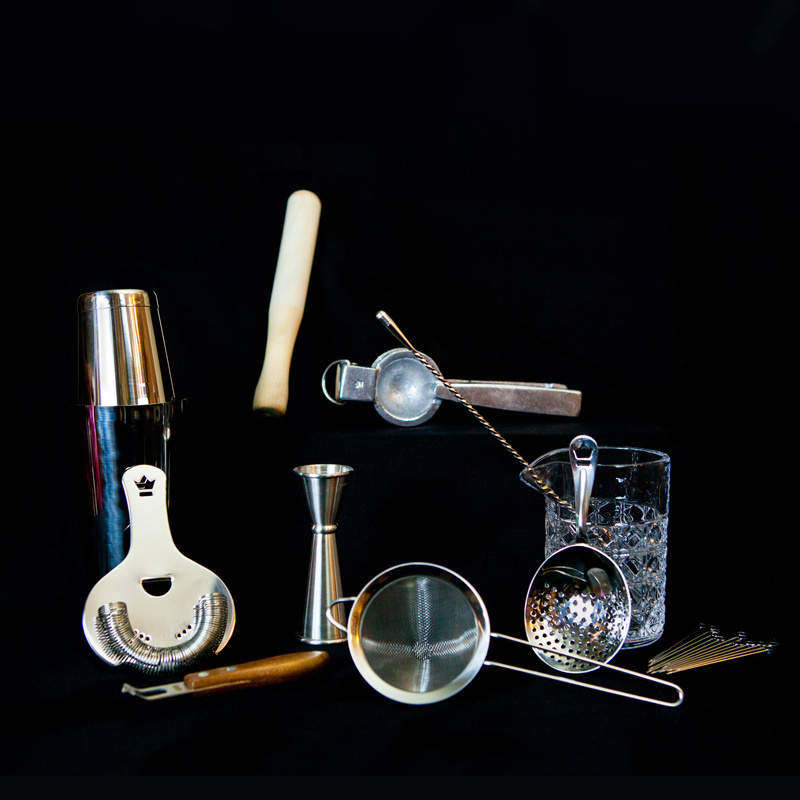 Set includes: a Boston shaker (top and bottom), Hawthorne strainer, large mixing glass, weighted bar spoon, Julep strainer, wooden muddler, fine strainer, citrus juicer, set of 12 metal cocktail picks, double-sided Japanese jigger with inner markings, and a channel knife. These tools retail for $170.